In a heartwrenching moment of pain, Ali was seen hugging his cat as he tried to process what happened to his house and the dozen hens. 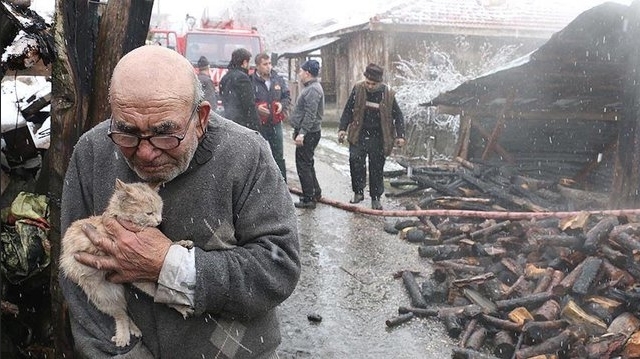 The residents of Ordular village in western Turkey's Mudurnu district were saddened Wednesday after witnessing the tragedy of an old man and his beloved cat, who helplessly watched their home burn down. 83-year-old Ali Meşe accidentally started the fire himself, while trying to light his heating stove with gasoline. His efforts to light a fire, however, went wrong and led to an explosion in the living room, after which the single-story wooden house burned to the ground. Neighbors who noticed the fire immediately informed the fire brigade, who were able to save the old man, his wife, son and cat just in time. The shocked owner of the house was seen hugging his frightened cat, mourning over the loss of his hens. 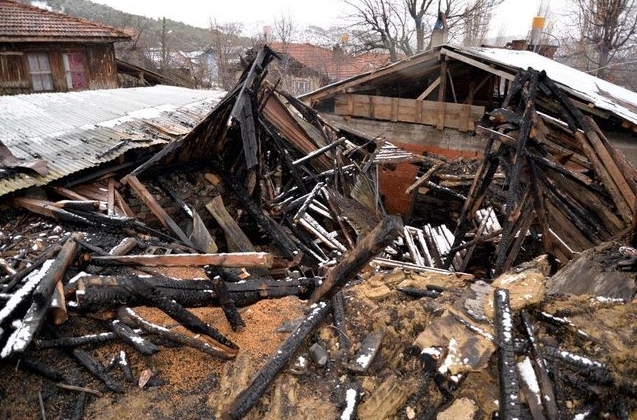 "13 of the 14 hens in the basement died during the fire," Meşe said. The local authorities reached out to Meşe, his wife and two sons who were left homeless when a fire gutted their house. Presidential spokesman Ibrahim Kalın tweeted that he contacted the governor of Bolu province where Meşe lives and the governorate told him that they would address the "needs of uncle Ali." 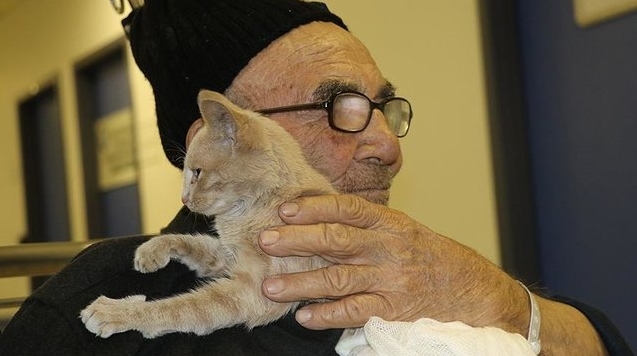 "Let's keep him and his cat warm," Kalın tweeted. Social media users also organized a campaign to help Meşe. 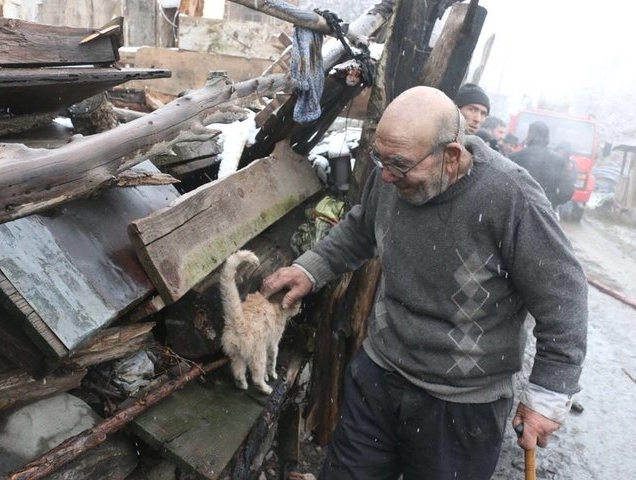 Responses to "A Fire Destroyed This Old Man’s Home, But All He Cares About Is His Kitten"